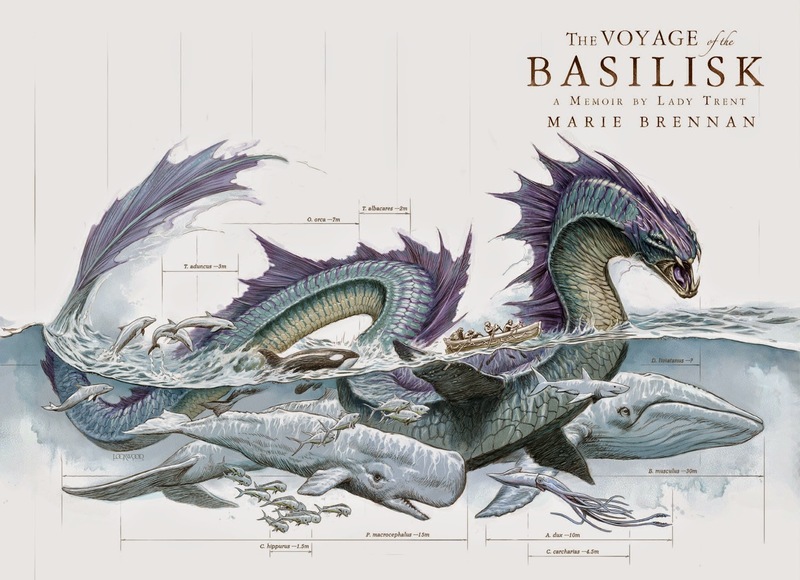 "Six years after her perilous exploits in Eriga, Isabella embarks on her most ambitious expedition yet: a two-year trip around the world to study all manner of dragons in every place they might be found. 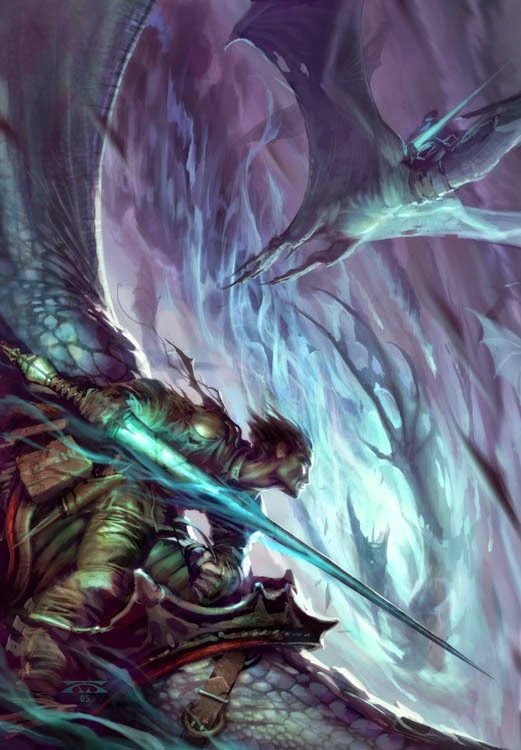 From feathered serpents sunning themselves in the ruins of a fallen civilization to the mighty sea serpents of the tropics, these creatures are a source of both endless fascination and frequent peril. Accompanying her is not only her young son, Jake, but a chivalrous foreign archaeologist whose interests converge with Isabella's in ways both professional and personal. Science is, of course, the primary objective of the voyage, but Isabella's life is rarely so simple. 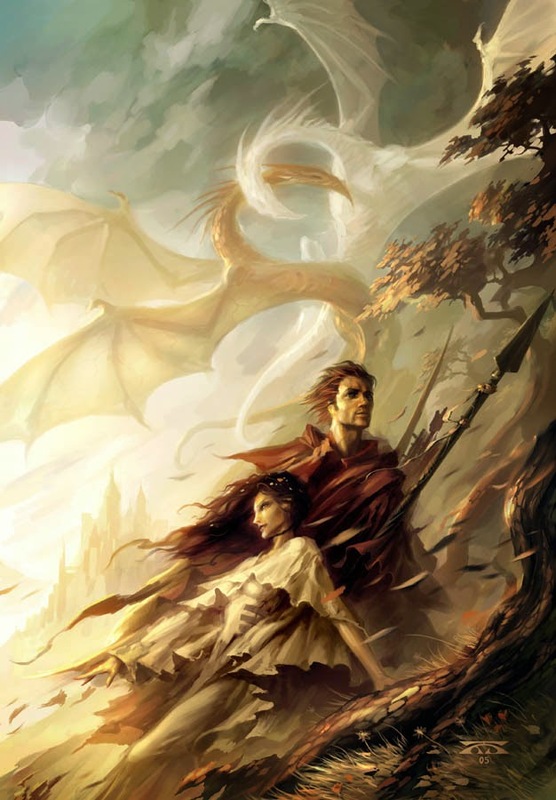 She must cope with storms, shipwrecks, intrigue, and warfare, even as she makes a discovery that offers a revolutionary new insight into the ancient history of dragons." "When Meena finds snakebites on her chest, her worst fears are realized: someone is after her and she must flee India. As she plots her exit, she learns of the Trail, an energy-harvesting bridge spanning the Arabian Sea that has become a refuge for itinerant vagabonds and loners on the run. This is her salvation. Slipping out in the cover of night, with a knapsack full of supplies including a pozit GPS, a scroll reader, and a sealable waterproof pod, she sets off for Ethiopia, the place of her birth. Meanwhile, Mariama, a young girl in Africa, is forced to flee her home. She joins up with a caravan of misfits heading across the Sahara. She is taken in by Yemaya, a beautiful and enigmatic woman who becomes her protector and confidante. They are trying to reach Addis Abba, Ethiopia, a metropolis swirling with radical politics and rich culture. But Mariama will find a city far different than she ever expected—romantic, turbulent, and dangerous." The Girl in the Road is the debut novel of Monica Byrne. The writing is solid and competently written, thus fairly engaging for the reader. The blurb however is a little misleading. The book is billed as sort of a near-future thriller and adventure following two women as they flee their homes to Ethiopia, one headed west from India across the Indian Ocean and the other east from the coast of the Atlantic. Instead it is more of a character piece, examining the women's lives and their emotional traumas as they make their journeys. So in a character piece the important thing is to make the characters relatable to the reader. However, unlike the prose the characterization is a little under-par. I just never connected to the characters at all. Especially because, and I don't feel this is a spoiler because it becomes apparent quite early on, that both Meena and Mariama are somewhat mentally unstable. I don't always mind this kind of plot device, but if I can't connect with the characters it just makes it all the more difficult. It doesn't help that as the mental unbalances become more and more obvious, the story becomes even more nonsensical. The Girl in the Road is an intriguing, but frustrating read because I never connected to the characters and thus was ultimately unfulfilling. On the plus side, the book is set in both India and Africa with Ethiopia the ultimate destination for characters who are both women of color. For those that care about that element and can relate to the story, this may be a worthwhile book for you. "In the four decades since his first book appeared in print, Terry Pratchett has become one of the world's best-selling and best-loved authors. Here for the first time are his short stories and other short-form fiction collected into one volume. A Blink of the Screen charts the course of Pratchett's long writing career: from his schooldays through to his first writing job on the Bucks Free Press, and the origins of his debut novel, The Carpet People; and on again to the dizzy mastery of the phenomenally successful Discworld series. "Tregillis launches a series with this superb alternate history filled with clockwork men and ethical questions on the nature of free will. The Calvinist Dutch empire, with the help of the mechanical soldiers (“Clakkers”) that are imbued with intelligence and enslaved through magic, has been dominant since defeating the French in the 17th century. Two centuries later, their only opponents are small French and Papal outposts in the New World. Against this background, French spymaster Berenice Charlotte de Mornay-Périgord, Vicomtesse de Laval, attempts to manage her secret agents abroad. One of those agents is Father Luuk Visser, a Catholic priest undercover as a pastor in the Hague, who knows he’s soon going to be exposed. He uses one of the Clakkers, Jax, to smuggle an item across the Atlantic. As Berenice, Luuk, and Jax go on their separate journeys (only briefly intersecting), they uncover multiple dastardly plots, learn terrifying secrets, and have to cope with knowing that all three of them have destroyed innocent lives." "When Suyana, Face of the United Amazonia Rainforest Confederation, is secretly meeting Ethan of the United States for a date that can solidify a relationship for the struggling UARC, the last thing she expected was an assassination attempt. Daniel, a teen runaway turned paparazzi out for his big break, witnesses the first shot hit Suyana, and before he can think about it, he jumps into the fray, telling himself it’s not altruism, it’s the scoop. Now Suyana and Daniel are on the run—and if they don’t keep one step ahead, they’ll lose it all." James Morrow's Galápagos Regained centers on the fictional Chloe Bathurst, an unemployed Victorian actress who finds work on Charles Darwin’s estate, nurturing the strange birds, exotic lizards, and giant tortoises he brought back from his trip around the world. When Chloe gets wind of the Great God Contest, sponsored by the Percy Bysshe Shelley Society—£10,000 to the first petitioner who can prove or disprove the existence of a Supreme Being—she decides that Mr. Darwin’s materialist theory of speciation might just turn the trick. (If Nature gave God nothing to do, maybe He was never around in the first place.) Before she knows it, her ambitions send her off on a wild adventure—a voyage by brigantine to Brazil, a steamboat trip up the Amazon, a hot-air balloon flight across the Andes—bound for the Galápagos archipelago, where she intends to collect the live specimens through which she might demonstrate evolutionary theory to the contest judges. Half the World steps away from Yarvi, now Father Yarvi, pushing him back to the shadows where he belongs and follows two new characters, Thorn and Brand. Thorn is a young girl, touched by Mother War who struggles to overcome the male-dominated warrior culture of The Shattered Seas. Brand is a young man who wants to be a warrior, but also wants to do the right thing. In many ways this is a better book than Half a King. Instead of a revenge story, we get a quest and adventure tale with the characters trying to level a political playing field that is tilting away from them. We get to see part of the larger world as well as quite a lot of character development better than any in the first book. This novel is another fantastic outing by Joe Abercrombie. The Whitefire Crossing is the first book by Courtney Schafer and the first book in The Shattered Sigil trilogy. 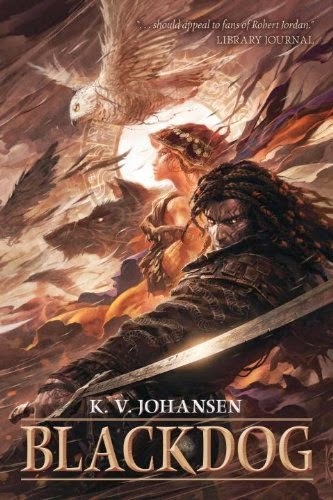 The book follows two characters: Dev, a freelancer for mountain caravans who is also a smuggler, and Kiran, a mage on the run who is willing to do what it takes to be smuggled by Dev from a city where magic is allowed free reign across the border to a neighboring country where magic is tightly controlled. The book essentially has two halves. 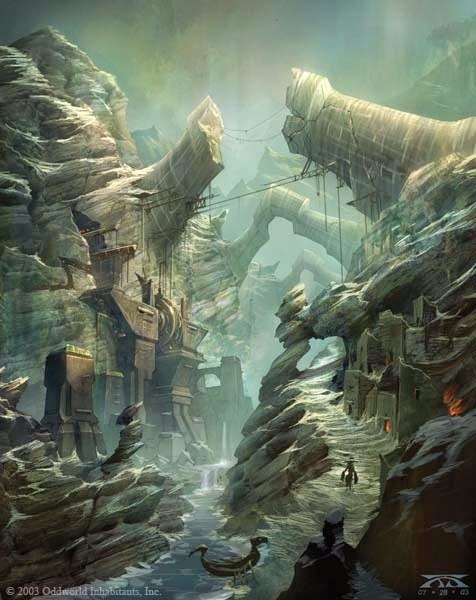 The first covers the mountain crossing and deals a lot with geography and mountaineering while the second deals with the consequences of the smuggling plot. There is a great deal with magic and how it is handled and regulated in this book. The main thing though is that the author makes certain to make complex, gray characters who do things for their own reasons. Perhaps too much so, but it works fairly well. Certainly a novel worth reading. 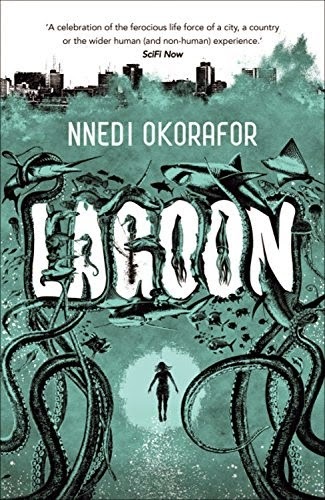 Lagoon is set in the city of Lagos, Nigeria when an alien race appears and makes contact. I should say right off the bat that this book is less about the aliens and more about what happens to the city and its people. Basically, a bit of a character study of the effect of this kind of world-changing event, in a world that is already changing. As other people have noted, it makes for an interesting and wide-ranging story, but also a frustrating one because it feels like part of the story is missing. Those looking for a deeper, more complex tale or those who wish to know more about the aliens and their intentions will be disappointed. 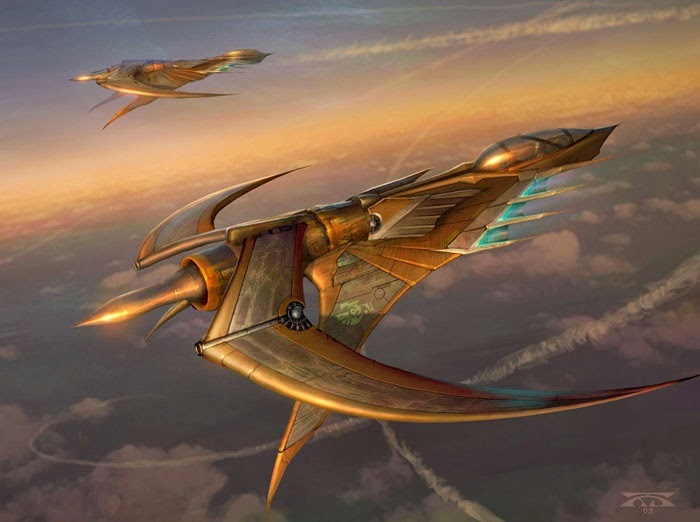 Raymond Swanland has been around for a while now. 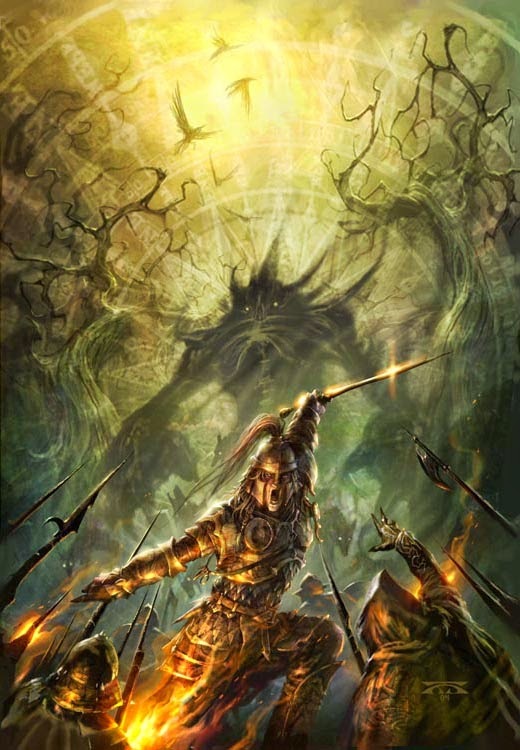 He's probably most well known for doing the cover art for all of the Black Company omnibii for Night Shade. More recently he's done some other work including K.V. Johansen's books for Pyr. He has a very unique, distinctive style that is utterly fantastic and evocative and really catches the eye. I hope he'll be around for years to come. You can view part of his portfolio on his website. 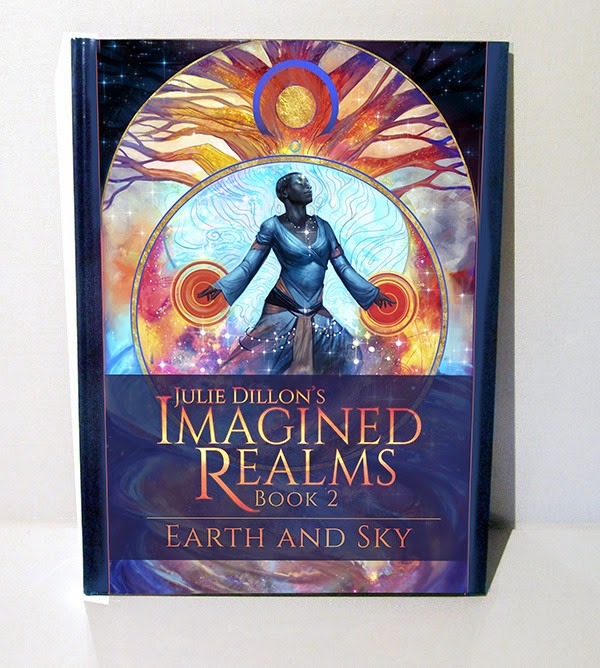 Julie Dillon has just kicked off her next Kickstarter project, Imagined Realms 2. 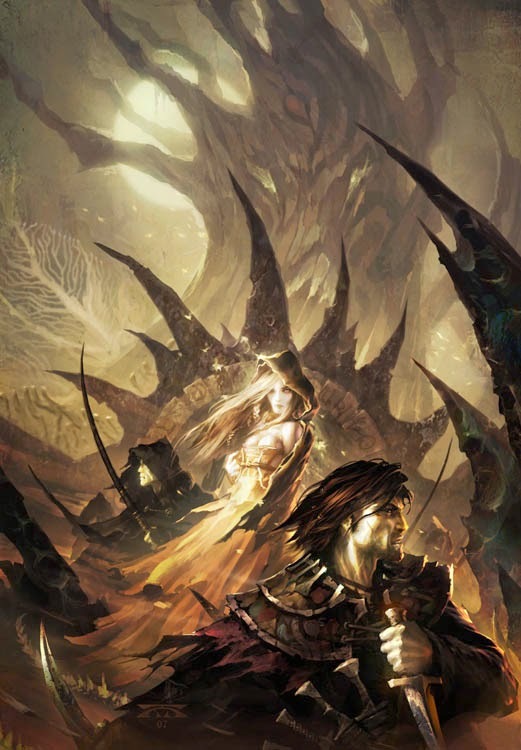 The first one was an artbook with all new, all fantasy-themed art, while this second book is essentially the same but with focusing on science fiction. It looks absolutely gorgeous. If you're interested, you can contribute to the project here. "Venus is lovely in the spring. 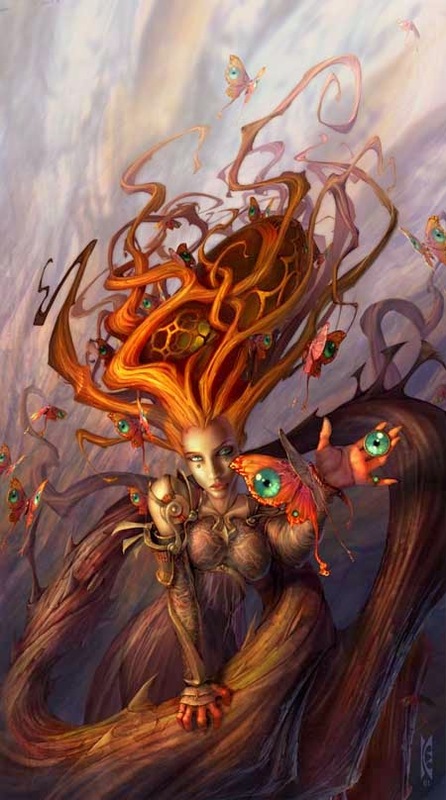 BOTANICA VENERIS: THIRTEEN PAPERCUTS BY IDA COUNTESS RATHANGAN, by Ian McDonald"